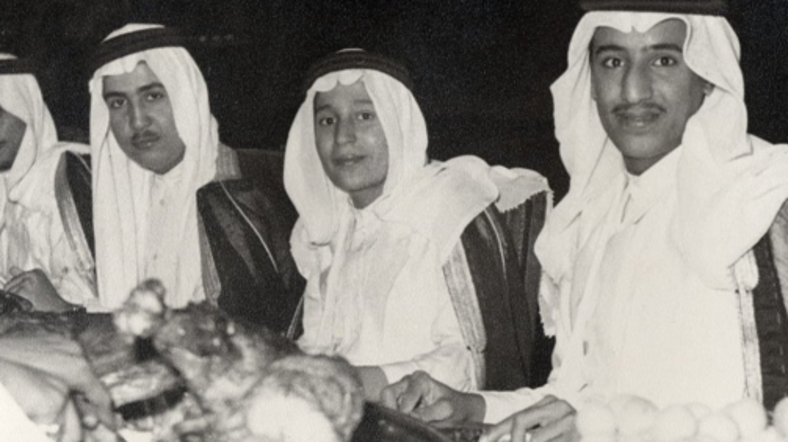 The King Abdulaziz Foundation for Research and Archives shared a picture of an 18-year-old King Salman bin Abdulaziz from 1953. The picture, which reveals an important part of the kingdom’s heritage, shows King Salman at a banquet held in honor of King Hussein of Jordan’s visit to Saudi Arabia at the time. The foundation was created to serve the history, geography, customs and heritage of Saudi Arabia, Arab countries and Islamic countries in general. Part of the duties of the foundation is to prepare research, studies, lectures and seminars on the biography of King Abdulaziz in particular, and about the Kingdom and its rulers, both old and recent.